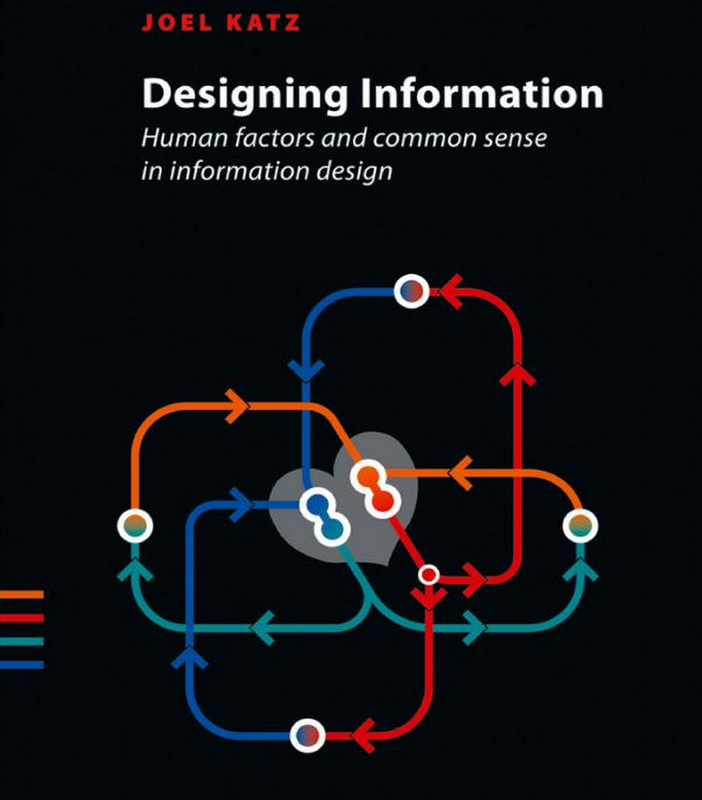 A reader of Paul Mijksenaar's Visual Function: An Introduction to Information Design wrote in Amazon that this concise classic is not really a book, but a personal manifesto against bad design. 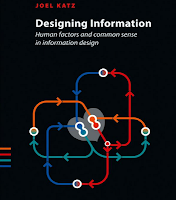 Something similar can be said about Joel Katz's Designing Information: Human Factors and Common Sense in Information Design, which is also —as Mijksenaar's, actually— a celebration of everything that is good in information design. 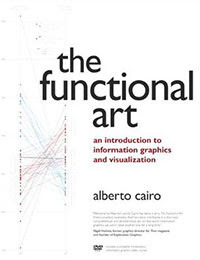 When I got a copy of Designing Information, right after a recommendation by Richard Saul Wurman, I was not expecting an in-depth introduction to the field. 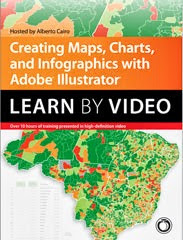 After all, Katz covers a lot of ground in a little more than 200 pages: the nature of information, maps, graphs, diagrams, typography, color theory, the grid, composition, visual analogies, wayfinding, pictograms, and other countless topics related to how the visual display of information can make people's life easier and more comfortable. Rather, the book works as a beautiful survey of heuristics, good practices, and examples that seems to be written more for professionals than for beginners. Its pages are meant to be browsed and revisited randomly every now and then, not to be read from cover to cover. "Being able to visualize ungraspable relationships does not necessarily make them more graspable. 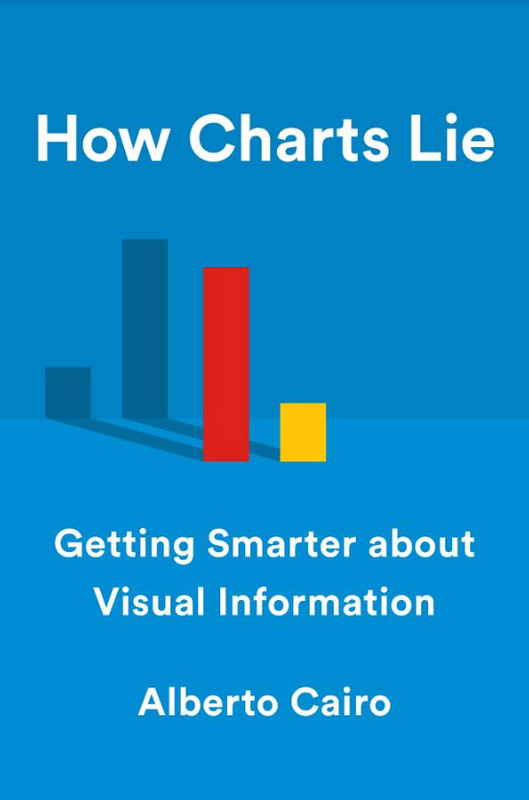 There comes a point where the data —whether it is visualized or listed— simply run into the limits of the human mind." "Intellectually logical coding is often perceptually counterintuitive. What may seem rational to the academician may be perceived incorrectly or with difficulty by the user." "it is impossible to know what the designer of unintentionally misleading or confusing graphics was thinking. It may be the result of a desire for visual elegance, uniformity, or misplaced notions of simplicity and visual harmony, which unfortunately mitigate self-revealing ease of use. It is crucial to think about how the user will undersand the design." "Would you rather have your audience read all of less or none of more?" 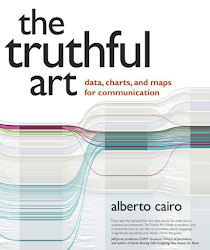 "Too little information (or no information) is also too much information: it takes up space and wastes human energy." "History is full of designs that met resistance, if not outright rejection, when they were introduced because they were innovative —unfamiliar— in some fundamental way. Many of these innovative ways of describing space and time, and communication process of statistical information, are now part of the history and conventional vocabulary of information design. Some are not. All new designs, regardless of their "superiority" in terms of efficiency, accuracy, or multivariacy, are often resisted and evaluated poorly until their positive aspects are understood and widely adopted." "The best way to show how something works is not necessarily to show what it looks like." "Don't confuse knowing what something looks like with understanding how it works." "If you have no room for first-generation labeling (labels next to objects being identified), you may be trying to fit too much information in too small a space." "Geographic maps have the advantage of being true to scale —great for walking. Diagrams have the advantage of being easily imaged and remembered, often true to a non-pedestrian experience, and the ability to open up congestion, reduce empty space, and use real estate efficiently. Hybrids —"mapograms"?— often have the disadvantages of both map and diagram with none of the corresponding advantages."